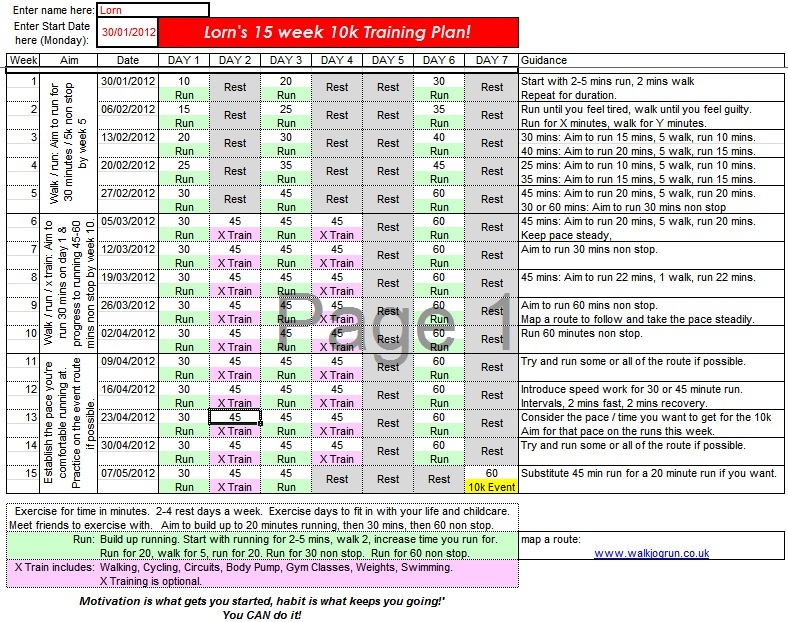 It’s just over 14 weeks until the Glasgow Women’s 10k (12th May 2013), and I thought I’d put a reminder of a wee 15 week training plan I made to run a 10k. More of my articles about the Women’s 10k. This entry was posted in Training Plans and tagged 10k, glasgow, run, womens. Bookmark the permalink.